During Autumn we often hold a special Harvest Festival Mass. We use these opportunities to collect food, clothing and household equipment for the Fireside Day Centre, based at St Martins in the Bullring, Birmingham, for redistribution to those in need in the Birmingham area. 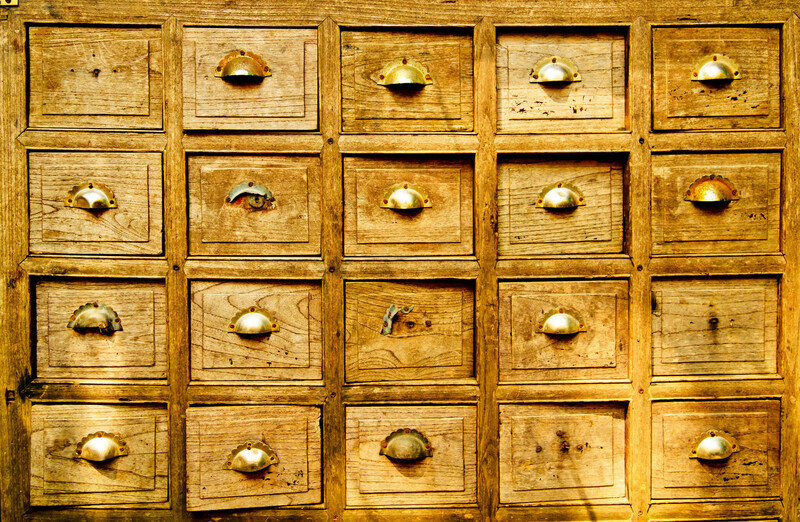 The Fireside Day Centre is an ecumenical project, run by the Sisters of St Paul, Selly park and the Birmingham City Centre Council of Churches and staffed by volunteers from all churches. This charity offers friendship, hospitality and support to people who are homeless, unemployed or lonely in our inner city. On Sunday 14th October we held our second Harvest Festival Mass at 9.30am. We collected food and other useful items for the Fireside Day Centre at St Martin’s in the Bull Ring for redistribution to those in need in the Birmingham area. As usual, the people of the parish responded magnificently with donations of Tins and packets of food, particularly, meat, fish and soup, Coffee, good, nearly new clothing and household equipment and kitchen utensils. Decorated boxes containing many the donations were brought up to the Altar by the younger members of the parish as part of the offertory procession and Father Sebastian subsequently arranged for our donations to be taken to Fireside after Mass. 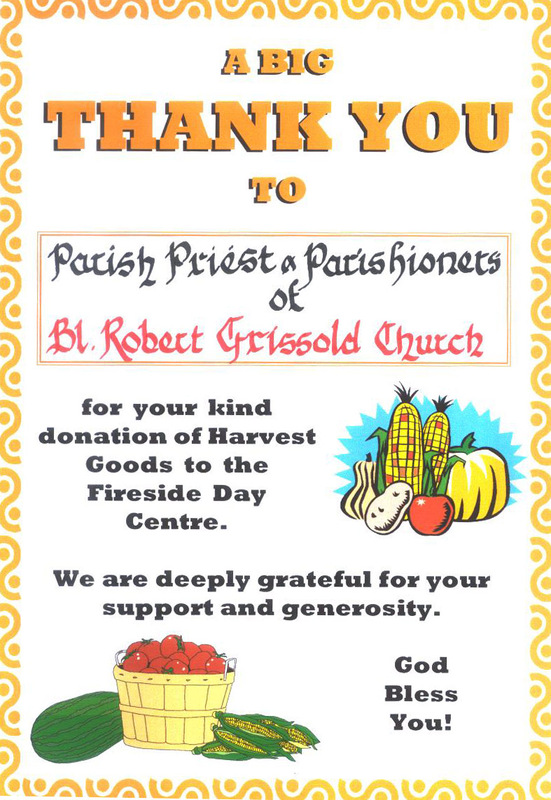 We subsequently received the thank you poster from the Fireside Day Centre.